If you are on the Main Campus experiencing a life threatening medical emergency, dial (202) 687.4357. If you are on the Law Campus experiencing a life threatening medical emergency, dial 911. For other student health services on Georgetown University’s main campus, consult the information below. The physicians and nurse practitioners at the Student Health Center can provide you primary care on a range of health needs. Remember to bring your student ID and insurance card to your visit. Note: We’re next to the Epicurean and Wisconsin GUTS shuttle on the left side of Darnall Hall. Look for our awning. Students without an appointment and who have urgent problems will be offered an assessment by a nurse or clinician during office hours. Construction Parking and Directions: Patients and visitors must enter the Hospital campus via Entrance 2 off Reservoir Road. Enter the parking garage to your left and your car will be valet parked at no additional charge. Entrance 1 will be closed due to construction of our new Medical/Surgical Pavilion. Click here for Construction and Parking details. For after hours and holiday closure urgent health concerns, please call the page operator at 202-444-7243 and ask for the Student Health Center physician on call. We provide psychological and psychiatric services for a variety of mental health issues. Note: Take the footpath to the east side of Darnall Hall. For initial visits, call or walk in during business hours. Call (202) 444.7243 for emergency consults after hours. Ask for the SHC clinician on call. 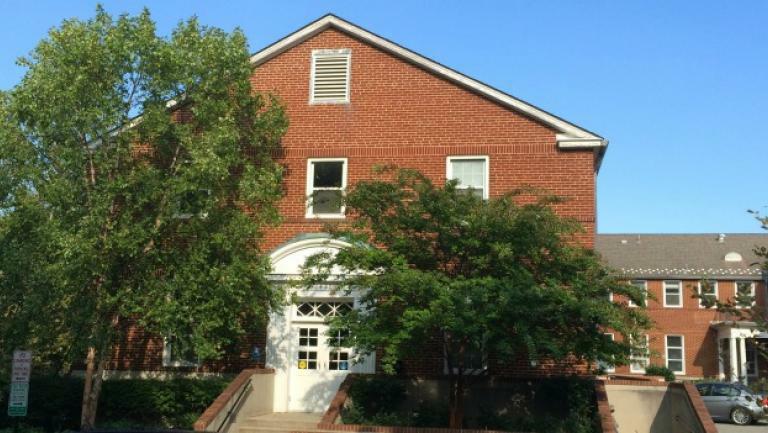 Note: We are located in the building next to the Center for Social Justice, on the corner of 37th St. and P St. If you are coping with a personal student health issue or crisis, our clinicians are available to provide professional advice and guidance. HES also provides health promotion programming and trainings for students. For non-urgent issues, we request that you schedule an appointment with a Health Education Services clinician. Our clinicians see students around alcohol and other drugs, stress management, sexual assault, relationship violence, stalking, nutrition, body image, eating disorders, sexual health, and pregnancy.